Some people search for the perfect black dress but I have been searching for the perfect black ankle boot... and I think I've finally found it. 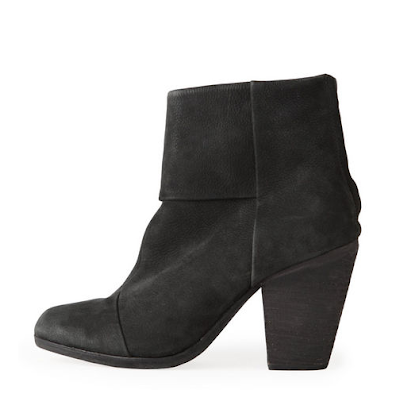 Rag & Bone's 'Newbury' boot is everything I've been looking for. Suede, cuban heel and no embellishments. Perfection. Love how Rachel is rocking them, black upon black multiplied by black style. My kinda girl.